Some states do not allow accountants or other professionally licensed businesses to form LLCs; California is one such state. LLC owners are not liable for the debts of the business. If professionals were allowed to form LLCs, they would not be personally liable if the business was sued for malpractice. In addition, many states want to ensure that business owners are properly licensed, and LLCs are more difficult for states to monitor. Before forming your business, you should contact the Secretary of State in the state where you plan to do business to inquire about restrictions on how professional businesses may be organized. Some states recognize a special type of LLC specifically intended for licensed professionals. A professional limited liability company, or PLLC, is quite similar to an LLC, but one key difference in registration is that the firm must provide proof that the owners are licensed in their profession. Some states require that all owners of the business must be licensed. Often, PLLCs are required to hold professional liability insurance to indemnify the business against malpractice lawsuits. State law may list certain professions that may use the PLLC entity. Some states include accountants on the list of professions, while others do not. Certain states such as Arizona allow accountants to form either an LLC or a PLLC – it's up to the business owners to decide which legal entity to form. An LLC may have fewer filing requirements and may not require professional liability insurance. On the other hand, a registered PLLC may demonstrate to the public that your professional company is licensed and trustworthy. 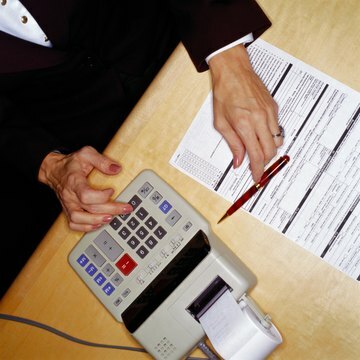 Some states do not have a PLLC statute and don't exclude accountants from forming an LLC. On the other hand, your state might exclude certain professions from forming a PLLC, but you may be able to form an LLC for your accounting firm. An LLC is typically formed by filing articles of organization with the Secretary of State in the state where your firm is located. The Texas Business Code allows groups of professionals to operate their professional practices as a limited liability partnership (LLP) or a professional limited liability company (PLLC). An LLP is a general partnership that registers with the state and pays an annual fee. The advantage of this structure is that individual partners are not held liable for the malpractice of other partners in most instances. Traditionally, Texas professionals operated under this entity structure exclusively because they were prohibited by law from operating as an LLC. When the state enacted laws to allow the formation of PLLCs, this newer entity format became an alternate choice for Texas professionals. Even though the Texas PLLC offers significant benefits that may trump the use of the LLP for many professional groups, the LLP still offers advantages that may be highly relevant in certain circumstances.